"Hulk like raging fire!" 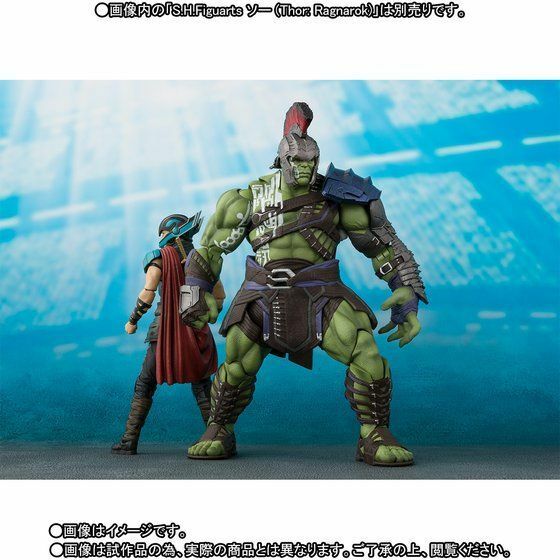 Want a follow-up figure to beat the tar out of your pre-ordered gladiator Thor figure? 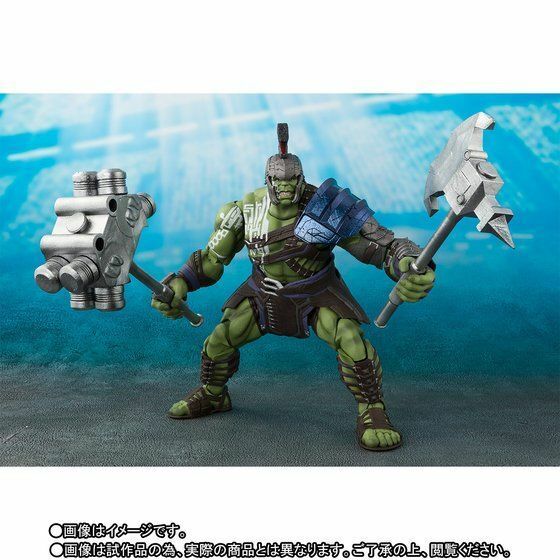 Well, check-out the official images for the S.H. 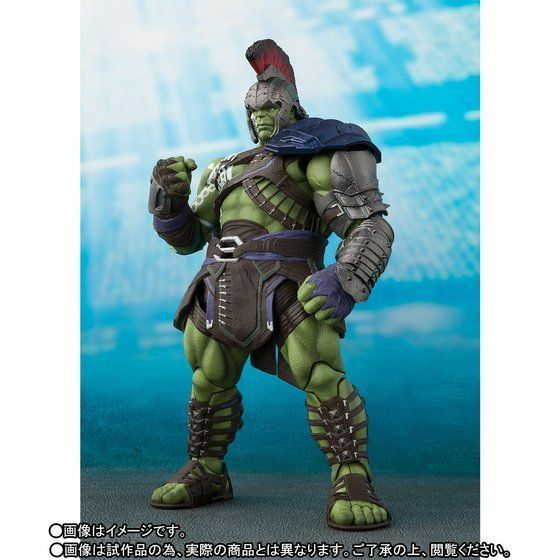 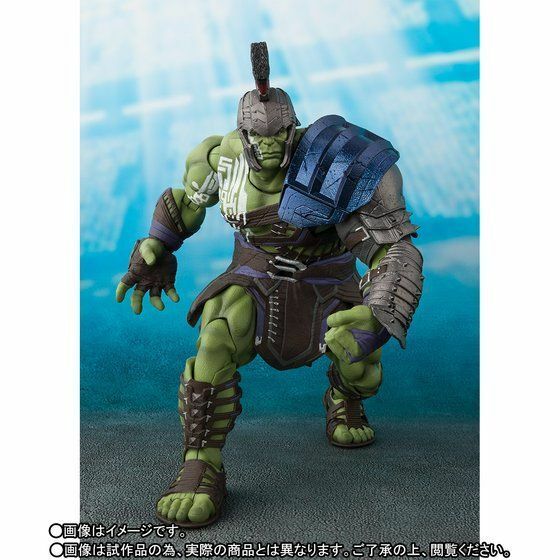 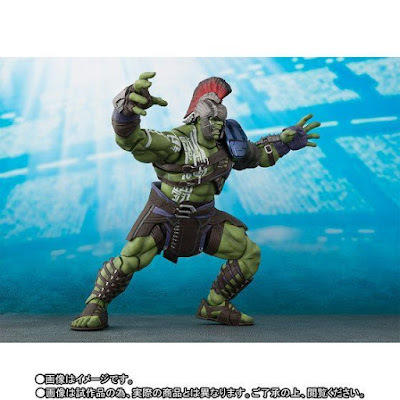 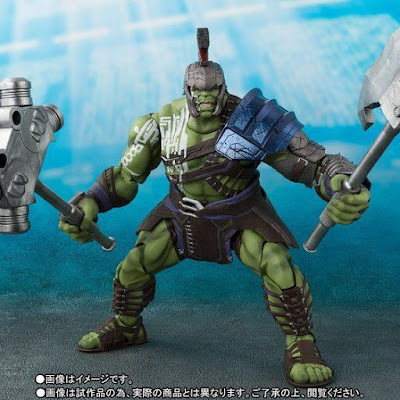 FiguArts Hulk (in his gladiator look from Planet Hulk) straight from Marvel's Thor: Ragnarok movie! 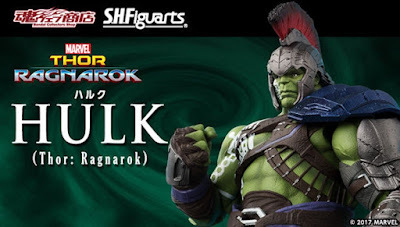 This newest S.H.F. 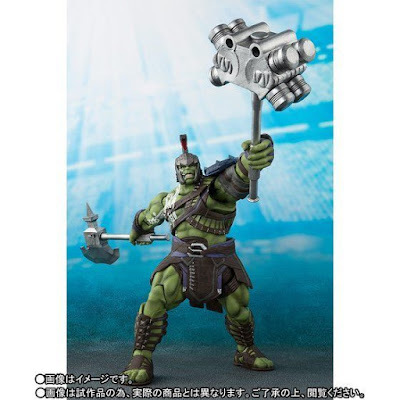 representation of the jade giant and strongest Avenger stands at a hulking 225mm (almost as the same size of an Iron Man helmet) and comes with a set of replacement wrist, a huge @$$ battle axe and gigantic maul/war hammer that can smash an Iron Man armor with ease. 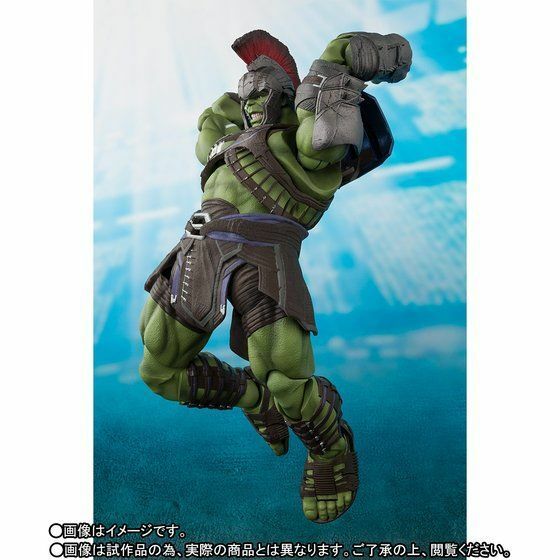 Set for a May 2018 release, the figure will cost 14,256 yen, a price that can give a migraine, rip your shirt and turn you into a green, angry being!